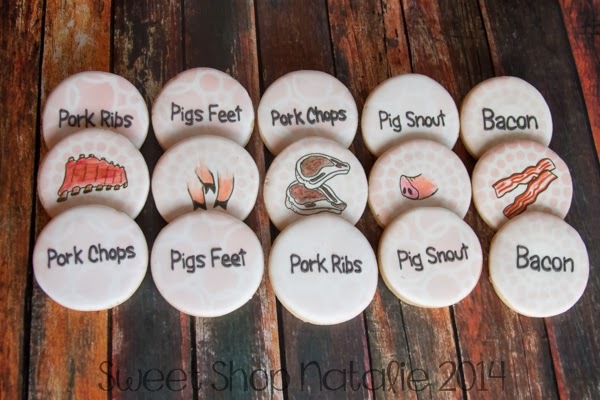 Sweet Shop Natalie: Bacon cookies??? 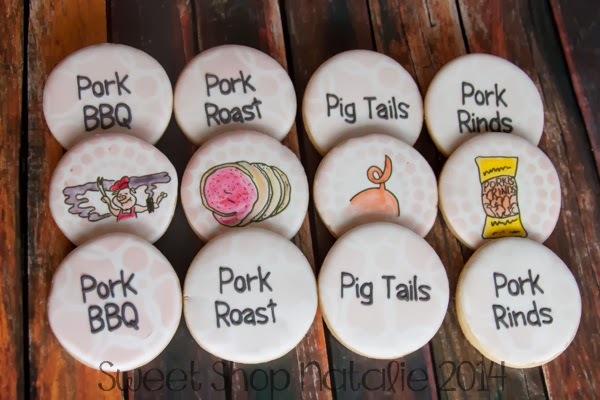 It all about Pork! 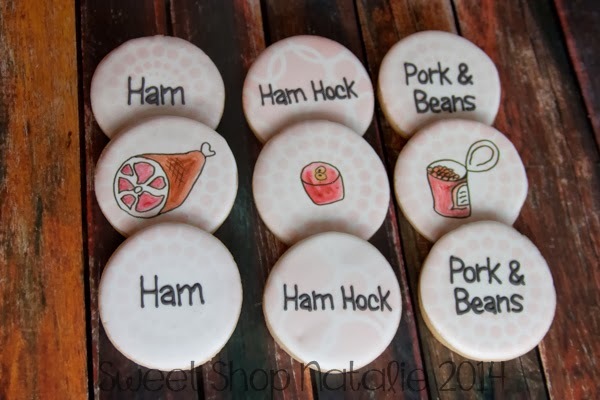 Bacon cookies??? It all about Pork! 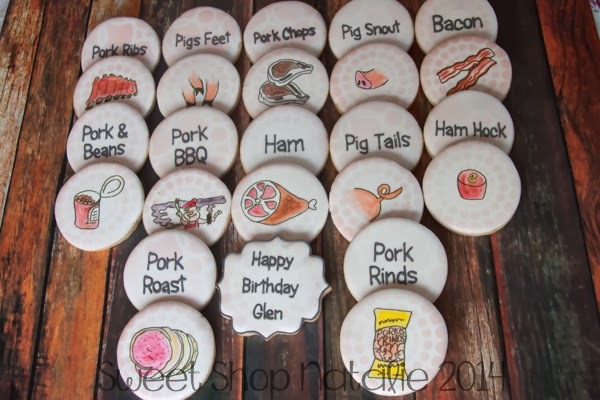 He just asked me to write out the names of different pork products on the cookies but I thought it would be fun to add some pictures as well. This is what I cam up with. I used edible ink pens to do the drawings. I thought it was strange at first but I think they came out cute in the end! !